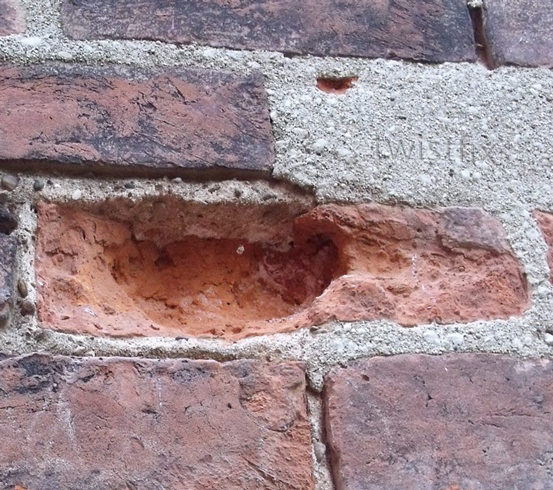 One of the most damaging forms of damp is known as penetrating damp, so named because it is caused by water literally penetrating into the brickwork. Brick walls that have absorbed water are at danger of suffering from frost damage, an occurrence which arises when excessively wet walls are subjected to freezing temperatures. When water turns to ice, there is a substantial increase in its volume. This expansion produces stresses within the saturated brick, which in turn causes the face of the brickwork to break or flake away. In a deteriorating state the masonry units readily more absorb water, restarting the damaging cycle and increasing the rate of frost damage and spalling bricks. As the water penetrates frost damaged walls, it often soaks through the masonry and either into a property, causing visible damp patches,­ or into cavity insulation, which is often renders useless the thermal charac­te­ristics of blown fibre cavity wall insulation. The problem appears to be more prevalent in old buildings or those that have no adequate damp protection system in place. All forms of damp cause a multitude of problems from structural damage to human health risks. Weakening masonry while providing the perfect environment for the growth of dangerous and unsightly mould, penetrating damp is a serious issue which, if left untreated, can lead to the need for disruptive, costly and time-consuming brick repairs. 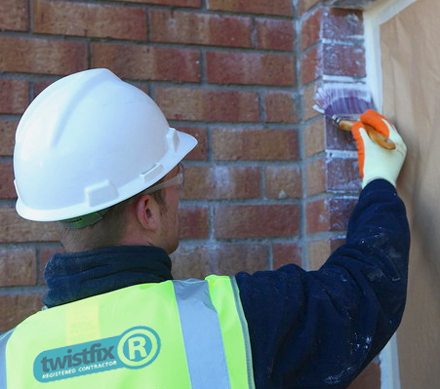 The most common causes of penetrating damp are driving rain, high groundwater levels and damaged gutters; Twistfix offer professional solutions to all of these problems, making treating penetrating damp as quick as three simple steps - Plan, Protect and Prevent. Protect - Apart from floods, walls that are exposed to driving rain are most at risk from allowing damp to penetrate into the fabric of property. 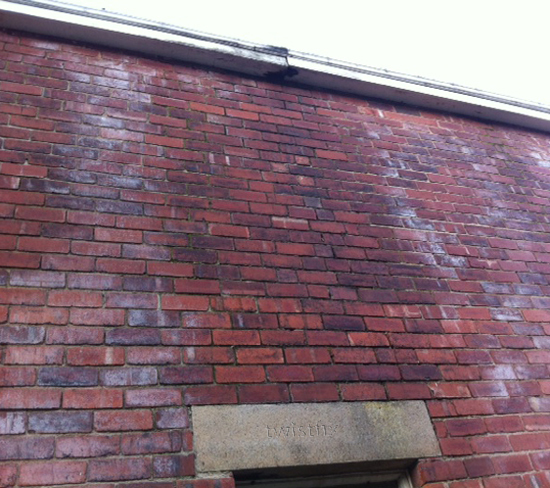 The first step is to check what, if any, damage has already been caused; if spalling, wearing or other damage to the masonry face or pointing is evident, it is essential that this be immediately repaired or replaced. Once restored to good condition, the surface should be treated with Twistfix Damp Seal, an innovative high strength masonry water repellent that offers the absolute best protection against the force of driving rain. 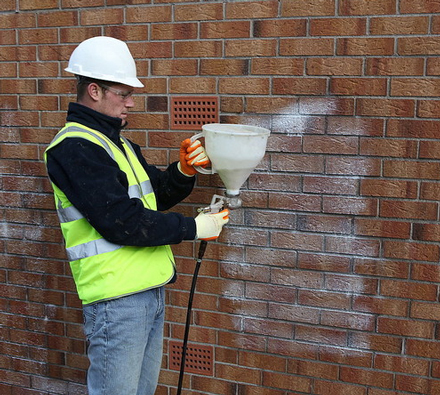 Upon application, the cream penetrates deep into the masonry, suppressing any capillary action and drying to leave a totally vapour-permeable surface. With an action equivalent to at least three standard liquid treatments, Twistfix Damp Seal water repellent cream is instantly effective and offers strong, continuing protection against water infiltration from driving rain or flood waters, whilst permitting the passage of water vapour to allow wet walls to dry. Prevent. - Gutters are one of a property’s first lines of defence against rain though they are often sadly neglected. When blocked, gutters allow water to spill over their edges it can run down the face of masonry, soak in and begin the damaging cycle earlier described. The Hedgehog Gutter Guard, a DIY project completed in just a couple of rewarding hours, allows for the quick and easy prevention of gutters becoming blocked with dirt, leaves, branches and other debris. 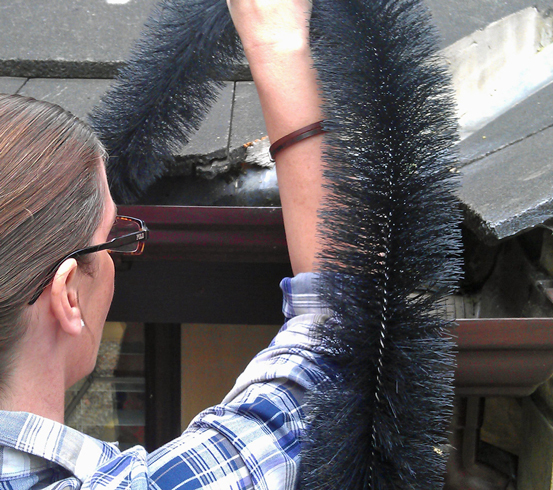 Formed from a tough stainless steel core surrounded by a tightly-would spiral of strong polypropylene bristles, the guard is designed to slip smoothly into place, twisting around bends of any shape and offering instant, lasting protection from blocked gutters and the penetrating damp they often cause. 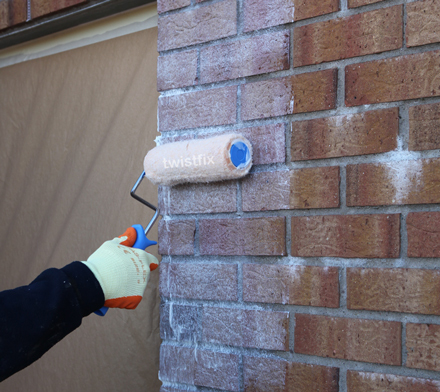 For more information on the Twistfix selection of professional solutions to penetrating damp and frost damage problems, please call 0845 123 6006 or email sales@twistfix.co.uk.